One of the mysterious riddles of Jupiter lies at a depth of 25,000 miles (40,234 kilometers) inside the planet. This mysterious is liquid metallic hydrogen. In this form this element can exist only at pressures exceeding 4 million bars, which is reached within Jupiter. The structure of liquid metallic hydrogen consists of ionized protons and electrons. 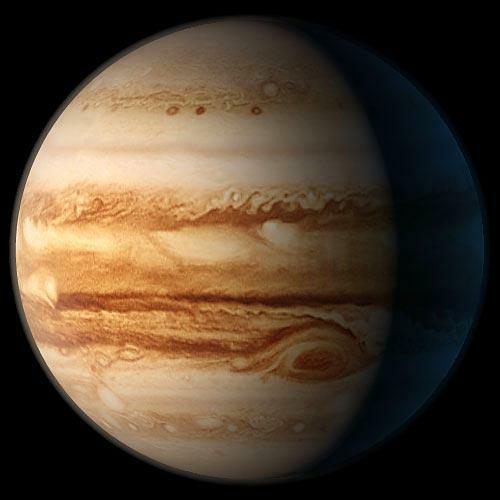 At temperatures and pressures that prevail within Jupiter, hydrogen from gaseous state changes into liquid. In this form, it becomes an excellent conductor of electricity. Jupiter consists 90% of hydrogen and 10% of helium. In the upper layers of the planet, hydrogen is gaseous form, as on Earth. But in the deeper layers, with increasing pressure and temperature, the gas turns into a thick liquid. On Earth, liquid metallic hydrogen can be created only in laboratory conditions, with those only in very small quantities and for a short period.